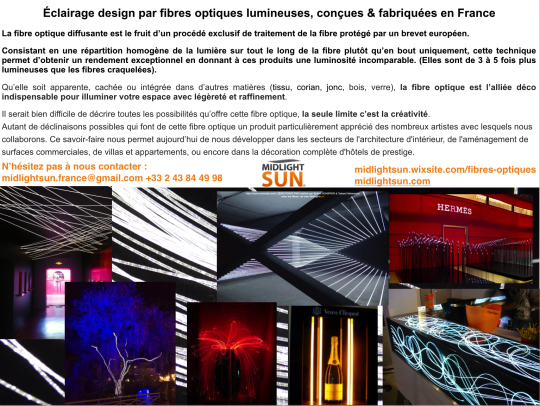 MIDLIGHTSUN ®, specialist of the bright solutions and the materials innovative and varied for the ARCHITECTURE and the DESIGN offers, through number of its collections, a very wide pallet of materials, textures, colors which allow to realize singular, audacious and remarkable projects especially as are available finishes and colorings on the demand, still slowing down the possible combinations. 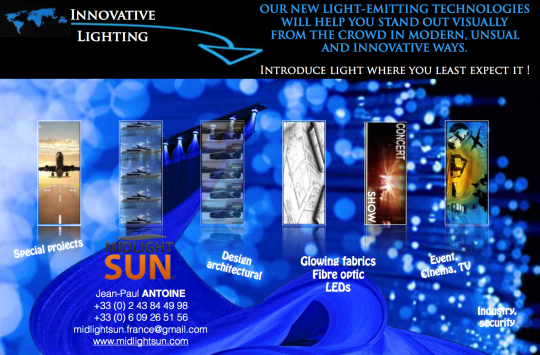 Designed and manufactured in France, all patented. In these collections, the beautiful materials will be a source of infinite creativity and modernity for the creator who tries “ to impose his leg ” and, certainly, to distinguish himself. Actuellement vous pouvez voir sur toutes les chaines de télévision cette publicité de Thierry Mugler Parfums – Clarins Fragrance Group. 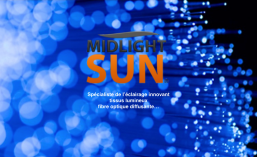 Cette robe a été confectionné avec du tissu lumineux tissé de fibre optique de 0,25 mm. 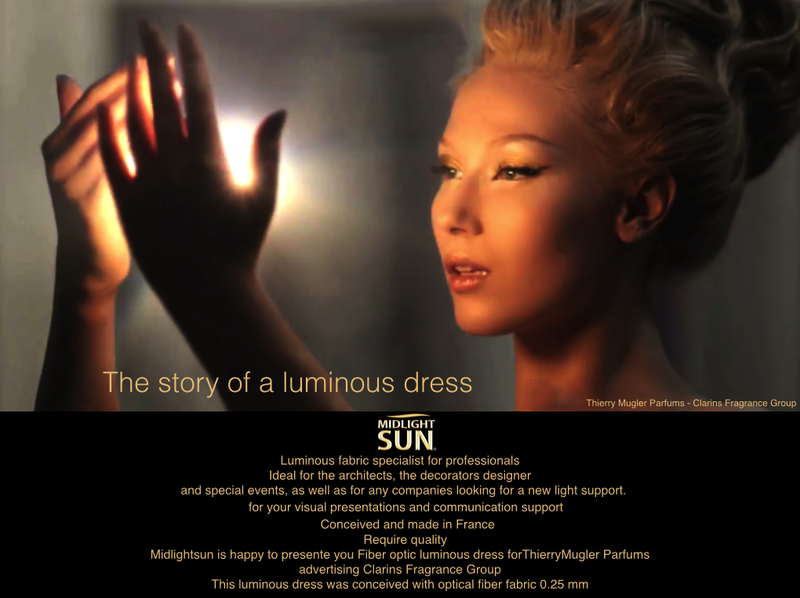 Currently you can see on all TV channels such advertising Thierry Mugler Parfums – Clarins Fragrance Group. This dress was made with the light fabric woven fiber of 0.25 mm. 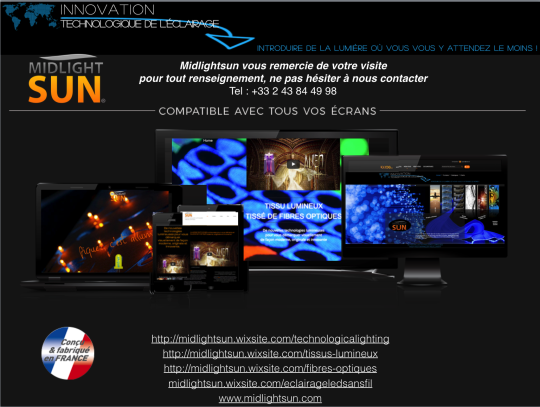 Whether your project is kind of architectural, decorative and artistic, we will use all means possible to ensure its feasibility and bring it to fruition as soon as possible.